Yodel snow school was established in 1960 and is the oldest snow school in Myoko. They offer professional snowboard and ski training as well as back-country and snow-shoe courses. They have lessons for both adults and children and for all levels of ability. If you want to get off the ski runs try out their guided off-piste tours or snow-shoeing tour. If you want to push your self try out their race training or take an international ski test to see how good you are. A private lesson with a professional instructor. A fully tailor made lesson just for you. The instructor will meet you at a location of your choice, gondola, ski resort or your hotel. It is recommended that you book in advance. A private lesson with a professional instructor. Lessons are designed to help your child gain in confidence and learn to ski or snowboard safely. The instructor will meet you at a location of your choosing. Fun group lessons that cater to all levels of ability. 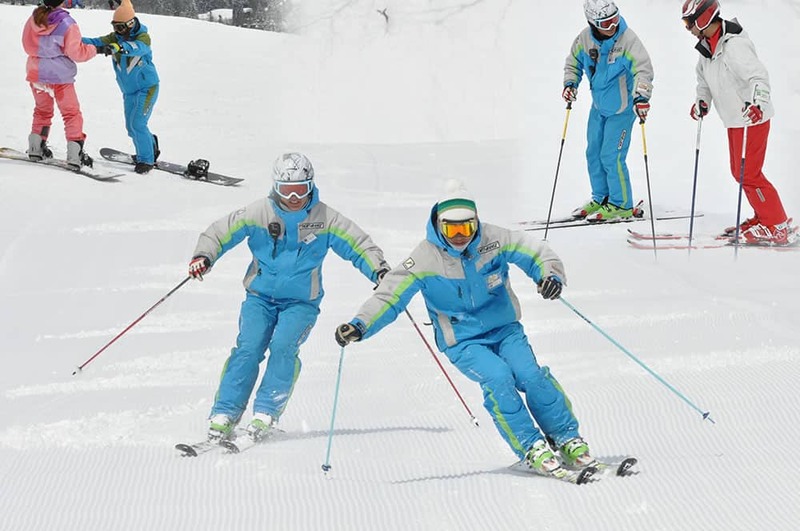 The instructors ensure that the children learn the important techniques and rules of skiing, based on the twin principles of safety and having fun. Each day of lessons will add to their ability as your child gradually increases in skill each day. With 22 lifts the Akakura ski resort covers a huge area. There are many great slopes and scenic view points. Your guide show you the best way to navigate the resort as well as all the best spots. Minimum 2 people. Take a guided off-piste tour and experince some of Myokos finest powder. Explore beauty and quietness of Myoko away from the busy ski resorts. 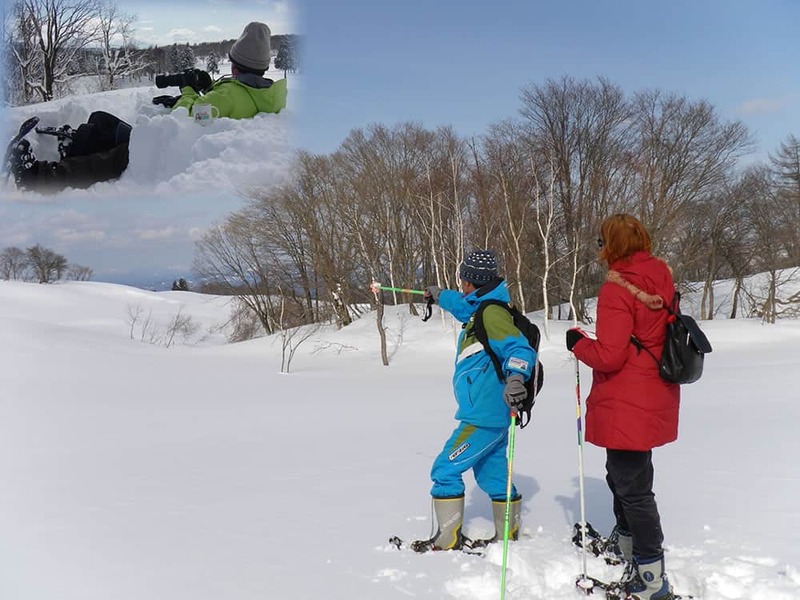 An experienced guide will introduce you to the winter wonderland that is Myoko. Minimum 2 people. This course is designed to cater to all levels of skiier who want to experience the thrill of the race course. Minimum 2 people. A private tour to each of Myokos main resorts, Akakura, Ikenotaira, Suginohara and Seki Onsen. International ski tests are held every day. A great way to evaluate your ability. Whether beginner or expert everyone receives a medal and certificate. Held each day at 3:30PM.